The Russian Orthodox influence in Harbin is not what it used to be, but if you visit St. Sophia or the Russian Cafe you see the remnants of this influence. 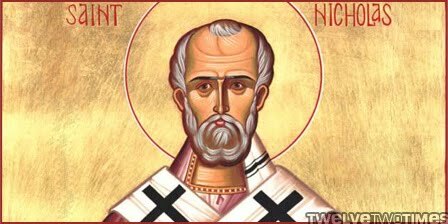 A recent search brought us to this interesting article about Saint Nicholas and Harbin. The Russians like to call Saint Nicholas “Nikola the Merciful” because his miracles are as numerous as the stars of heaven. I would like to remind you of one touching miracle that shows his mercy. This did not happen once upon a time, long ago; it happened in our time, in the city of Harbin [China], where I lived for over 40 years. At the train station in Harbin there was a large icon of Saint Nicholas the Wonderworker, and it was especially venerated by all the travelers. Hundreds of candles were always burning in front of it. People departing by train and the people who came to see them off would light candles, and prayers were constantly going up to the great hierarch for his protection during trips. There was always a crowd in the station because the rail traffic was very heavy. To read the complete sermon, click here.